Discover how to leverage the power of the Stibo Systems’ MDM platform to supply a Business-first approach to master data, eliminating IT issues and driving business value, right from the cloud. The result is a flexible MDM platform that allows you to discover, create and manage relationships across critical business data. 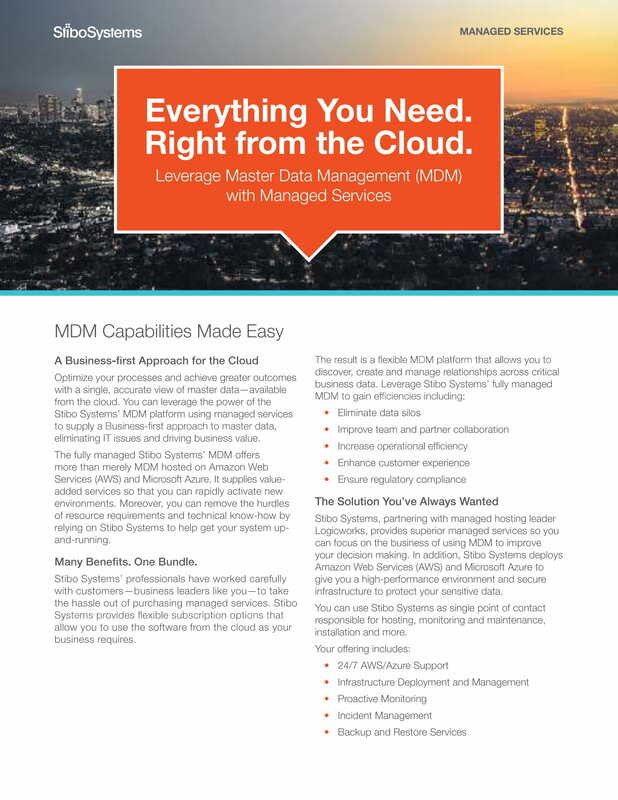 Download the brochure to learn more using MDM with managed services.